Ski = MC Squared: Almost here . . .
Then, Ace and I took advantage of the nice weather today to go on a 30 mile road bike ride on the Mohawk-Hudson Bike Trail (beautiful). So it's all pumping me up for ski season. I'm putting my new ski boots now to further break them in. 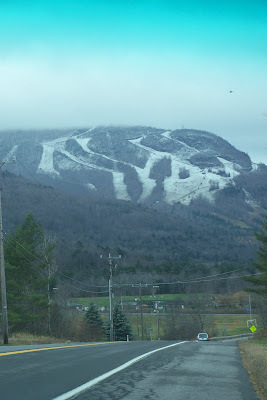 I might ski Killington next week (if my job doesn't get in the way). Let's do this! Snowmaking at Gore has begun . . .